Thank you Jeremy for coming by and thank you so much for your post....was such on honor to have you come to see my home. Carmen, it was a wonderful post and I really enjoyed the photos. Kuddo's to both you and Jeremey! 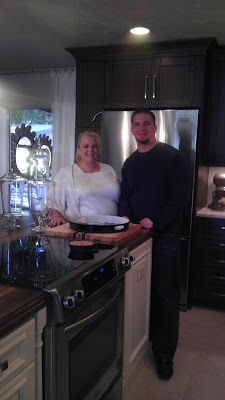 Thanks Todd - I am still loving my new kitchen and love Jeremy's post. The Designer Digs event was spectacular and I am blessed to live in my own design. Wow wow wow, I Love my home and my kitchen rocks!!! FUN! Wish we were all closer by to visit more often! Yes me too - we need to take another group trip soon!